The Publix Georgia Marathon and Half Marathon is one of the southeast's premier distance events. 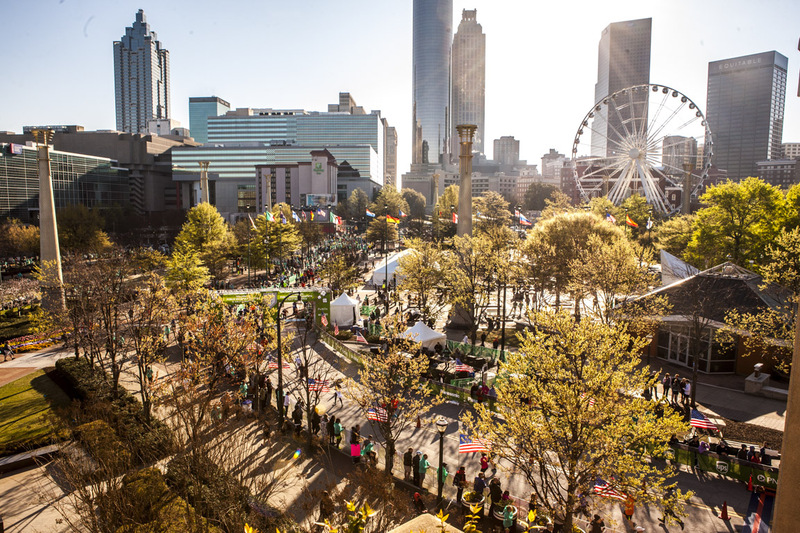 Whether you're taking on 13.1 or tackling 26.2, we hope you'll join Atlanta Track Club for the 11th running of this Atlanta tradition, starting and finishing in Centennial Olympic Park. The Publix Georgia Marathon is now sold out! Registration for the half marathon is still available but filling quickly. Sign up soon to ensure that you're on the start line of one of Atlanta's favorite running events. The Publix Georgia Marathon Health & Fitness Expo is the bib number pick-up location for race participants. The boutique style expo features music, Publix premium giveaways, official race merchandise from Mizuno, free food and drink sampling from sport nutrition and health food companies and fun interactive opportunities with exhibitors. Located in the Omni Hotel at CNN Center, the Expo is free and open to the public. Don't have a race number? The full marathon is sold out, but on-site registration for the half marathon will be available at the Expo. All participants must pick up their race packets at the Expo unless they purchased Will Call during registration, or separately through the Atlanta Track Club online store. Friday, March 17, 2017: 11:00 a.m. to 6:00 p.m.
Saturday, March 18, 2017: 9:00 a.m to 6:00 p.m.
MARTA: The Dome/GWCC/Philips Arena/CNN Center station, accessed from the blue and green line, is the closest MARTA stop to the Publix GA Marathon Expo via a short 0.5 mile walk. Parking: If choosing to drive to the expo, a guaranteed parking permit can be purchased via Parking Panda. Some Expo parking options are a short walk to the Omni Hotel. NO EXPO PARKING is available at the Omni Hotel. *Parking at the Omni Hotel is available to hotel guests only. All others will be charged $15 if trying to pull in and park. We are excited to invite you to visit Tesla at the Publix Georgia Marathon & Half Marathon Expo. During your visit, you will get to experience exactly how Tesla has redefined vehicle engineering. We will also show you how easy a Tesla is to charge, how safe they are to drive, and how electric vehicles can fit seamlessly into your lifestyle. During the race, be on the lookout for Tesla leading the runners to the finish line. We look forward to seeing you there. Buy online during registration or you can purchase Will Call post-registration by visiting our online store by March 12th at 11:59 pm. Your number will not be available at Will Call on race morning unless you have purchased this option. If you do not purchase Will Call, your number will only be available at the Publix Georgia Marathon Health and Fitness Expo. If you would like to switch races, you may do so by emailing [email protected] or in person at the Health & Fitness Expo held prior to event day. If a distance is sold out prior to the event, there will not be an option to switch to that distance. There will be no refunds for switching from the full marathon to the half marathon, and additional fees will apply for those switching from the half marathon to the marathon. For those switching races at the expo, shirts will be provided based on availability. Those switching events on race morning will be disqualified and removed from the results. Atlanta Track Club has partnered with Parking Panda, the nationwide leader in online parking reservations, to allow visitors to purchase guaranteed parking near the Omni Hotel @ CNN Center for the Health & Fitness Expo and Centennial Olympic Park for the Marathon. View real-time availability and pricing at several nearby garages and lots. If you are a streaker and do not see your name on the list, please contact [email protected]. Let us help you train for a longer distance! Our spring marathon and half marathon training takes place in the winter/spring and prepares participants for the Publix Georgia Marathon and Half Marathon on 3/19/17. The program is great for novice and intermediate runners. Whether you’re training for your first full or half marathon or your 50th, don’t go at it alone. For more information on Training, click here. The Omni Atlanta Hotel at CNN Center is the official race hotel and site of the 2017 Publix Georgia Marathon Health & Fitness Expo. Rates starting at $159.00 are available to race participants. The Omni Atlanta Hotel at CNN Center is a luxury hotel conveniently situated in the heart of downtown Atlanta next to Centennial Olympic Park - the start/finish location of the 2017 Publix Georgia Marathon events. Plan early and book your room, as a full sellout is expected. Contact HCI Travel, the official agent of the 2017 Publix Georgia Marathon, for help with any additional travel needs. Our marathoners and half marathoners need your support! Stop by the Mizuno booth at the Publix Georgia Marathon Expo to create a sign for your runner and pick up a complimentary "cheer pack." 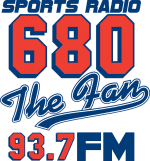 On race morning, join their cheer zone near the Charles Allen entrance to Piedmont Park or one of the additional businesses along the route that support the event. See a complete list of cheer zones below or consult the course map to find the ideal spot for you!